The Canadian dollar surged to its best level in two weeks, just days after lodging its worst annual performance since 2015. The loonie is gaining steam on higher energy prices, but investors are looking to Friday’s labor report, which could signal how the Bank of Canada (BOC) will move on interest rates later this month. On Thursday, US crude oil prices inched towards the $47 mark, buoyed by market expectations that weekly inventories will report the fifth straight decline. The official US Energy Information Administration (EIA) numbers will be posted on Friday, two days later because of the New Year’s holiday. As a result, February West Texas Intermediate (WTI) crude futures tacked $0.10, or 0.21%, to $46.65 per barrel at 18:20 GMT on the New York Mercantile Exchange. Brent, the international benchmark for oil prices, rose $0.47, or 0.85%, to $55.38 a barrel on London’s ICE Futures exchange. Oil is one of Canada’s biggest exports. But the nation could experience a significant setback should the global economy slip into a recession. If a contraction does take place, then it might curb crude demand, hurting the Canadian economic picture and in an election year. Statistics Canada will publish the December jobs report on Friday. A poll of economists forecast that the national unemployment rate will tick up from 5.6% to 5.7%. Whatever happens in the report, it will dominate the central bank’s policy meeting later this month. The BOC has adopted a more dovish approach to normalizing rates, taking the same stance as the Federal Reserve. While the central bank does have its reservations, it is not as bearish on the economy as its counterparts to the south. The BOC has pulled the trigger on five rate hikes since July 2017, bringing the benchmark interest rate to 1.75%. Right now, the market is not forecasting rate hikes in 2019. The loonie finished 2018 with the worst annual performance in three years, sliding to a 19-month low against its American counterpart. 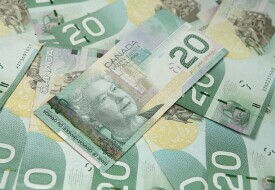 The USD/CAD currency pair plunged 0.76% to 1.3481, from an opening of 1.3581, at 17:29 GMT on Thursday. The EUR/CAD fell 0.27% to 1.5365, from an opening of 1.5405.